The other night I made some smoked chicken breasts on my Weber grill and decided to make some sweet potatoes to go along with the chicken. There is nothing like the smokey flavor of hickory wood along with chicken and potatoes. I happen to buy a white variety of sweet potato which is not quite as sweet as the every day orange variety, but they tasted great all the same. I just received my order from King Arthur Flour the other day and have been ready to try some experimenting with my new batch of flour. 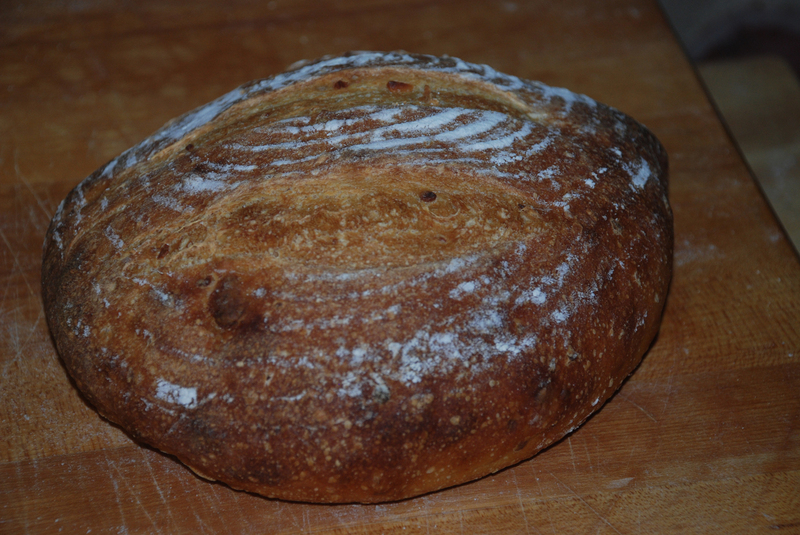 I decided to try one of my favorites from KAF, the European Style Artisan Bread Flour which is milled from spring and winter wheats, enhanced with ascorbic acid and white whole yeast. I combined this with Durum Semolina Flour, Sweet Potato passed through a potato ricer or mashed and crumbled Feta Cheese. 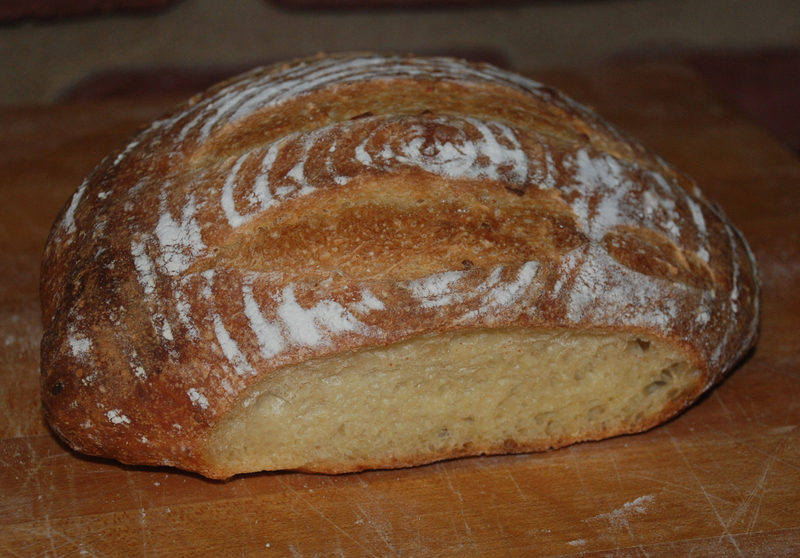 I created this recipe using the basic San Francisco Sour Dough recipe from Peter Reinhart’s “Artisan Bread Every Day”. If you don’t have this book I highly recommend it. The basic theory behind this book is that you can mix the dough in one day, let it sit in the fridge for 3-4 days while it develops its flavor during a nice long and cold fermentation and bake at your leisure. You have the option to use a small amount of yeast to lessen the preparation time, or no yeast relying on your starter. I prefer to use a 65% hydration starter while I know a lot of recipes call for a 100% hydration starter, so feel free to use either and adjust your water amount as needed. Mix for 4 minutes more on medium speed, adding more flour if necessary to produce a slightly sticky ball of dough. Remove dough to your lightly floured work surface and need for 1 minute and form a ball. Leave uncovered for 10 minutes. After another 10 minutes do another stretch and fold and put into a lightly oiled bowl that has enough room so the dough can double overnight. When ready to bake the bread, shape the dough as desired being careful not to handle the dough too roughly so you don’t de-gas it. Place it in your bowl, banneton or shape into baguettes. (If you did not use yeast, let it sit in your bowl for 2 hours before shaping). Let it sit at room temperature for 2 hours covered with oiled plastic wrap or a wet cloth.